One of the build of Windows 10 that was widely speculated to be the release candidate to be the RTM build of Windows 10 has leaked, even though the current rumor mill is speculating that the sign off of Windows 10 RTM has been delayed to July 15th, 2015, and hence this leaked build won’t be the gold RTM build. 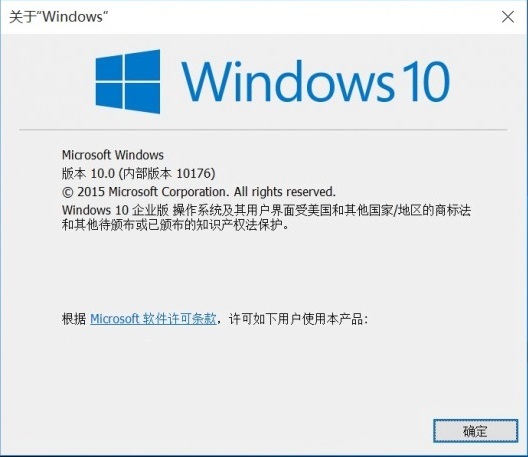 The leak is 64-bit (x64) version of Windows 10 Build 10176.16384.150705-1526 Enterprise edition Simplified Chinese (zh-CN) ISO image. It’s from th1 branch which some believes is going to be the branch where RTM build is compiled. In fact the leaked ISO appeared to a frankenbuild or homebrew ISO image due to various files found to have build 10011 (12.0.10011.0) on them, though they do have valid digital signatures. It’s believed that the ISO only includes install.wim file from build 10176 while the rest of the files from earlier build. However, install.wim does contain all the files to install or upgrade to Windows 10 Build 10176. As it’s a homebrew ISO, the file name of the ISO image does not actually follow Microsoft’s naming convention. Its file name is Windows_10_10176.16384.150705-1526.TH1_[weibo.com@BetaAsia]CLIENTENTERPRISE_VOL_X64FRE_ZH-CN.ISO. The leak was first appeared in a PCbeta, a popular Chinese forum based in China. Why Windows 10 Build 10176 has been rumored to be a the RC (release candidate) for RTM? After installing, you will notice that the system’s desktop does not have any watermark, and the operating system has no timebomb (will not expire in future date). But it may just be the feature of th1 branch after all. Now many called Windows 10 Build 10176 as RTM Escrow build.